Sofa beds can be a brilliant and practical addition to your living room, or can add an extra bed for guests in a spare room. It sometimes puts people off when they can’t find a sofa bed that is right for their room, and often they can’t find one the right size. Fortunately, we have a wide range of sofa beds in different styles and sizes. There’s a huge range of sofa bed styles available on our website; ranging from contemporary to traditional Chesterfields and everything in between. If you’re looking for something modern, our Abbey Leather Sofa Bed has proven to be popular due to its chunky arms and comfortable deep sit. 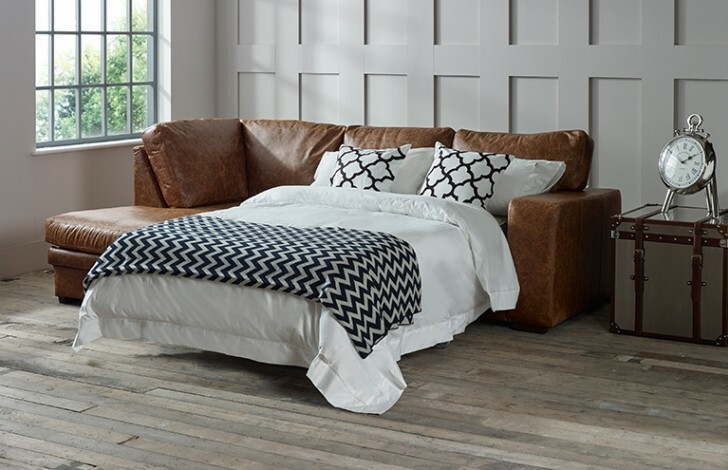 However, if you’re in need of something on the other end of the design spectrum, then our Ashford Vintage Leather Sofa Bed is a perfect vintage piece, featuring the iconic Chesterfield design and the practicality of a fold-out sofa bed mechanism. The sophisticated studding and hand crafted deep buttoning make this piece a stunning addition to a classic décor, and the benefit of the sofa bed doubles the benefits. And for those of you who like something in between, Our Lincoln Vintage Sofa Bed has a traditional style, with scrolled arms and bun feet. Many people think that sofa beds are just for regular sofas, mainly 3 seaters due to their size. Actually, they’re very versatile and offer a variety of options and solutions if you’re struggling for space. Here at The English Sofa Company, we offer sofa beds as small as 1.5 seaters, and as large as 3.5 seaters, meaning that if space is an issue, there will be a size to suit your needs. 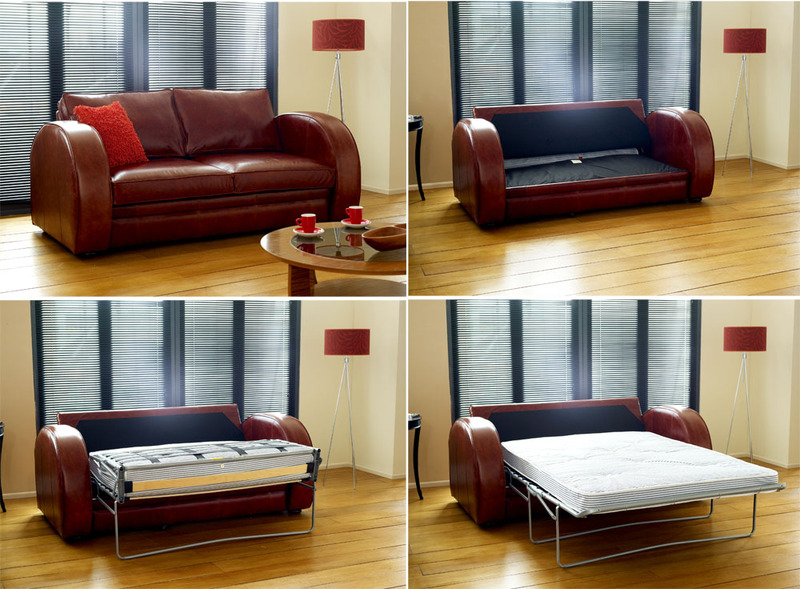 If space isn’t at a premium in your house, then our corner sofa beds might prove to be a great choice. The luxury of having a large, comfortable sofa that stretches across your room is often unmatched, and when they’re available in a fabric or leather of your choice, the possibilities are endless. When a corner sofa bed is your dream, but it won’t quite fit, then a chaise sofa bed is ideal. A chaise doesn’t have a corner section, so it’s just two pieces connecting to form the L shape. All of these pieces have a sofa piece which holds the sofa bed mechanism, and the chaise section which is extended out and provides extra seating, or a comfy place to relax and put your feet up. Our standard sofa bed mattress is a 3 inch foam mattress, which provides a good level of comfort and at no extra cost. However, if you’d like something different, we offer a 5 inch sprung mattress and a 3.5 inch memory foam mattress, just speak to our team for more info. Still not decided? Check out our selection of Sofa Beds and see what you fancy!